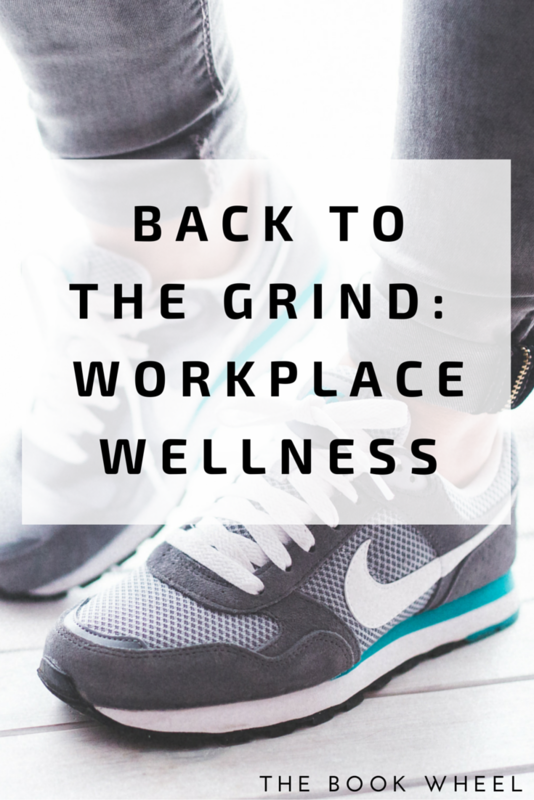 This workplace wellness post is sponsored by Sodexo, a worldwide leader in Quality of Life Services. They believe that to create value, businesses and society as a whole must make people’s well-being a priority. The experiences are my own. I’m just going to say it: I hate exercise. I don’t enjoy it, I’ve never gotten to the zen place that people so frequently talk about, and I have spent more money on equipment and outfits than I care to admit. For most of my life, I didn’t spend too much time worrying about my health. Aside from not spending enough time in the sun, I was pretty healthy. But when I found out that I would need two open hip surgeries before the age of 30, I started giving it some thought. Despite my lifelong aversion to exercise, being told to take it easy left me determined to run a 5K. Of course, it’s easy to want to do something when you’re not actually allowed to do it, and so I had a built-excuse for not doing something I likely wouldn’t do, anyway. Fast forward a few years and I’m back in decent condition. My hips are cosmetically perfect (and real! ), the 40 lbs I gained after my surgeries is gone, and I’m able to function like a normal human being again. But I’m also over the age of 30 and, having gone through such an ordeal, I’m ready to get healthy. Getting healthy was difficult for a while because I was in grad school and then worked at home, which left me with pretty terrible eating habits and unlimited snacks on hand. Of course, these are just excuses and anyone can make up an excuse at any time but I’m at the point where healthy living is more than just a weight thing and I am making an effort. For example, I’m now a vegetarian. It was the right choice for me, although I know it’s not the right choice for everyone. I’m also working outside of the home again, which you would think would make healthy living harder due to time constraints but I have found the opposite to be true. It’s easy to get into the lazy rut when you work in your pajamas but now that I have to get up and look decent five days a week, I find myself more motivated about life, in general. Then again, my workplace is supportive of healthy lifestyles and offers yoga classes, unofficial walking groups, and gym membership discounts. So what workplace wellness benefits have I used? I haven’t done the yoga thing yet but I have been on some walks. I started using my FitBit again and take the stairs which, based on how out of breath I was that first time, I need to do more often. A lot more often. Sometimes I do the chair crunches I read about on the Internet, but I still haven’t quite figured out how to do them properly. I also spend every Sunday doing meal-prep for my lunches for the week, which is easy to do when there’s not any meat to spoil and we have multiple refrigerators at work. I work in close proximity to a ton of really great restaurants but, let’s be real, eating out while eating healthy can be difficult, so making my own lunches takes the guesswork out of whether or not I’m eating something that’s good for my body and mind. Plus, it’s cheaper. As it turns out, the more healthy choices I make, the more I want to make, which has been both surprising and motivating. I have found that I’ve stopped counting calories (which I always cheated on, anyway) and instead focus on ways to increase my level of activity. I’m even thinking about buying a treadmill and finally tackling that 5K I so easily dismissed with my earlier excuses. Who knows? Maybe I’ll even taken advantage of the gym membership discounts offered through my place of employment. An added benefit to the efforts made to improve my physical well-being is that I’m better off, mentally. Sure, I have lost some weight but I also have more energy, am sleeping better, and am better able to manage daily stresses. As someone who suffers from high anxiety, this is a very welcome change of pace. Being busier usually makes me more stressed, but it turns out that making just a few changes to my daily regimen (taking the stairs, eating healthier) has improved my mental outlook. I’m less stressed, overall, and am even reading more. My ability to focus is much better, which I’m sure is in part due to the fact that I don’t work in my pajamas and avoid unnecessary physical movement, which invites lethargy and laziness. The result is that I am now making increasingly healthier choices, from what I’m eating to the amount of time I spend on physical activity, and I’m ready to ramp things up a bit. Who knows? Maybe a year from now I’ll be sharing about how I ran my first 5K and didn’t keel over and die halfway through. How important is workplace wellness to you? Does your job offer health perks?